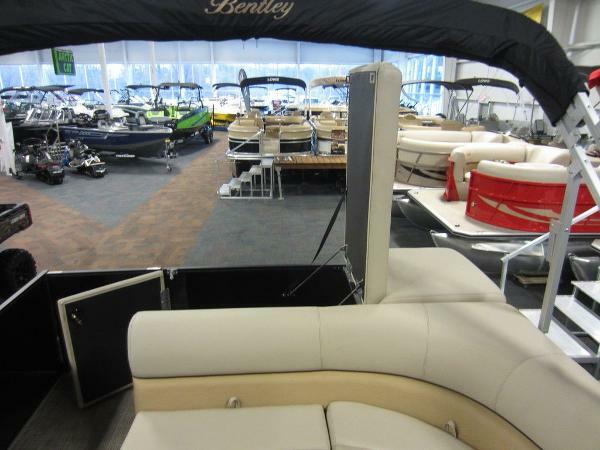 2019 Bentley Pontoon 240 Cruise SE RE SAVE THOUSANDS ON THIS NEW 2019 BENTLEY 240 CRUISE SE RE! Why buy used when you can buy NEW at this AMAZINGLY low price! Only $24,252 with a 50 hp Mercury 4-stroke with power trim! 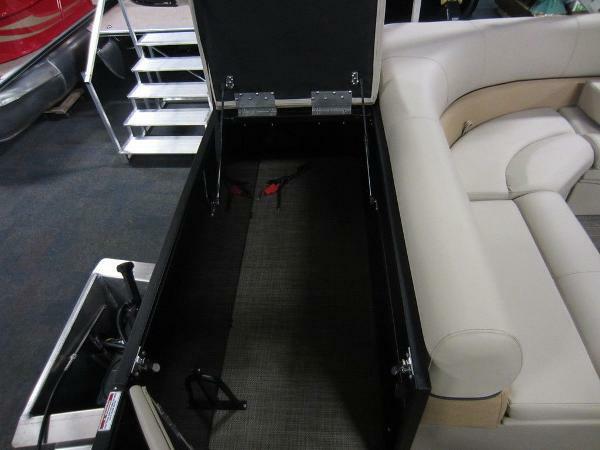 This pontoon is base-priced with a new Mercury 25 hp 4-stroke EFI outboard; however, engine options are available from 10 to 150 hp. Factory warranties include; 5-year bow to stern warranty, limited lifetime warranty on decking and pontoons, and a 3-year factory warranty on the engine. Optional equipment includes: SE tan furniture package, tilt steering, deluxe reclining high back captain’s swivel chair w/slider and foldable armrests, and snap-on mooring cover. 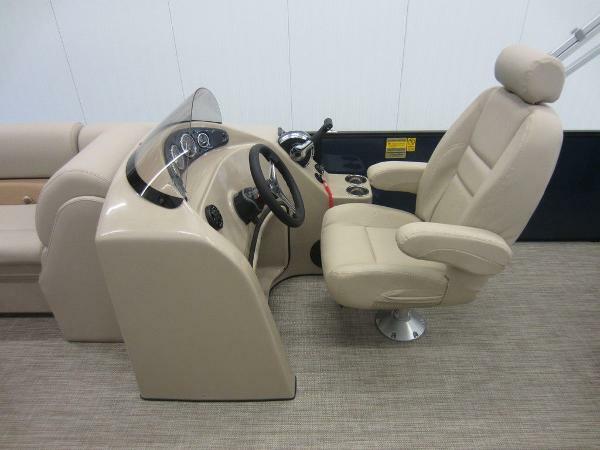 Features include: Seagrass mat marine flooring, blue bimini top w/storage boot, custom fiberglass console w/foot-well and windscreen, Jensen AM/FM Bluetooth stereo w/USB & AUX port, (4) Jensen marine speakers, Mercury gauges including: tachometer, fuel, and battery meter; lighted helm switches, electric horn, anchor/navigation lights, recessed docking lights, courtesy lights, 12-volt power outlet, emergency safety lanyard, removable table w/beverage holders, port and starboard bow layback couches w/under storage (extended starboard couch), stern L-shaped couch w/under storage, bow under seat cooler w/drain, Rotocast composite seat bases, aft padded sundeck, stainless beverage holders, (3) moveable beverage holders, (3) entry/exit doors (port/bow), rear exit w/fold-down 4-step boarding ladder, (4) stainless mooring cleats, 32-gallon fuel capacity, fire extinguisher, marine cranking battery, 8'6" beam, thru-bolted marine decking, nylon fence rail spacers, M-bracket skirting, all-aluminum transom, 25" diameter pontoons, and 16-person carrying capacity. The trailer shown is NOT included, however, new and used float-on or scissor trailers are available for purchase. Trades will be considered and delivery is available. Competitive financing rates and terms are also available. Approximate payment is $206/mo. for 144 mo. with 20% down (WAC). Leaders RPM is one of the largest marine and powersports dealers in the Midwest with over 70,000 sq ft of showroom, parts, and service under one roof located in Kalamazoo, MI. Price is plus freight, prep, sales tax/fees and is subject to change without notice. 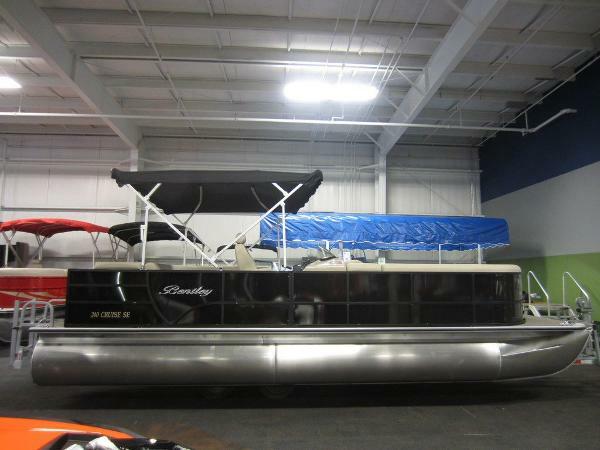 2019 Bentley Pontoon 240 CRUISE SE RE SAVE THOUSANDS ON THIS NEW 2019 BENTLEY 240 CRUISE SE RE! Why buy used when you can buy NEW at this AMAZINGLY low price! Only $24,252 with a 50 hp Mercury 4-stroke with power trim! 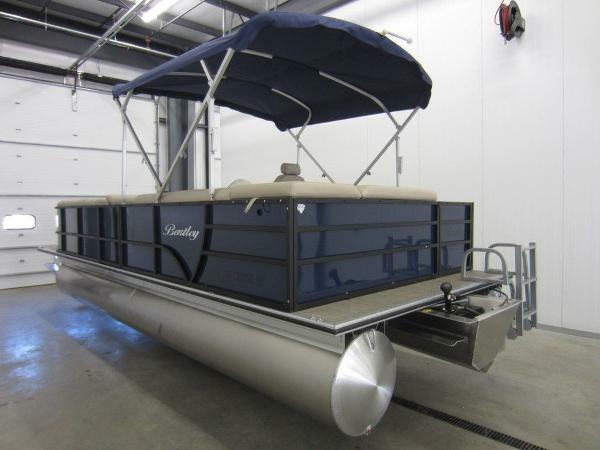 This pontoon is base-priced with a new Mercury 25 hp 4-stroke EFI outboard; however, engine options are available from 10 to 150 hp. Factory warranties include; 5-year bow to stern warranty, limited lifetime warranty on decking and pontoons, and a 3-year factory warranty on the engine. Optional equipment includes: SE tan furniture package, tilt steering, deluxe reclining high back captain’s swivel chair w/slider and foldable armrests, snap-on mooring cover, and color matched rails. 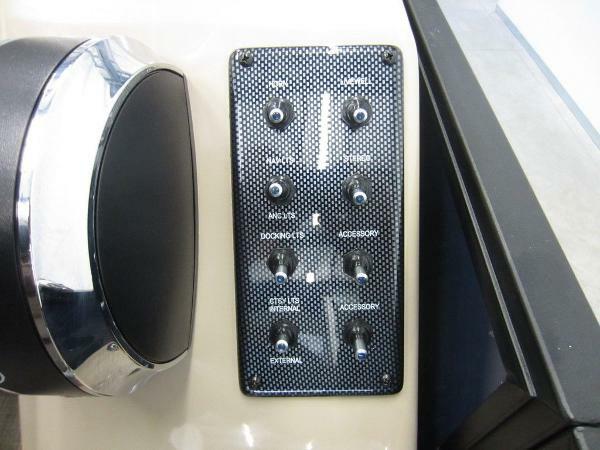 Features include: Seagrass mat flooring, black bimini top w/storage boot, custom fiberglass console w/foot-well and windscreen, Jensen AM/FM Bluetooth stereo w/USB & AUX port, (4) Jensen marine speakers, Mercury gauges including: tachometer, fuel, and battery meter; lighted helm switches, electric horn, anchor/navigation lights, recessed docking lights, courtesy lights, 12-volt power outlet, emergency safety lanyard, removable table w/beverage holders, port and starboard bow layback couches w/under storage (extended starboard couch), stern L-shaped couch w/under storage, bow under seat cooler w/drain, Rotocast composite seat bases, aft padded sundeck, stainless beverage holders, (3) moveable beverage holders, (3) entry/exit doors (port/bow), rear exit w/fold-down 4-step boarding ladder, (4) stainless mooring cleats, 32-gallon fuel capacity, fire extinguisher, marine cranking battery, 8'6" beam, thru-bolted marine decking, nylon fence rail spacers, M-bracket skirting, all-aluminum transom, 25" diameter pontoons, and 16-person carrying capacity. The trailer shown is NOT included, however, new and used float-on or scissor trailers are available for purchase. Trades will be considered and delivery is available. Competitive financing rates and terms are also available. Approximate payment is $206/mo. for 144 mo. with 20% down (WAC). Leaders RPM is one of the largest marine and powersports dealers in the Midwest with over 70,000 sq ft of showroom, parts, and service under one roof located in Kalamazoo, MI. Price is plus freight, prep, sales tax/fees and is subject to change without notice.